The vintage style continues to be a hot trend in interior design. Create a retro-modern style in your home by combining the old and the new with help from our vintage posters. Adorn your walls with pictures of flowers and plants reminiscent of those you remember from the biology classroom, or with images of places and environments from a bygone era. In this category you’ll find all our posters and prints with a vintage feel. The retro style is back in vogue and trendy all over again. A perfect interior design combination is to mix the old with the new to create a home that feels both personal and unique. Let our retro-inspired art help you to achieve this. Our vintage posters come in various versions of popular school classroom posters, photographs, hand-drawn sketches, and a whole lot more! Adorn your bedroom, hallway, kitchen, or living room with vintage designs. 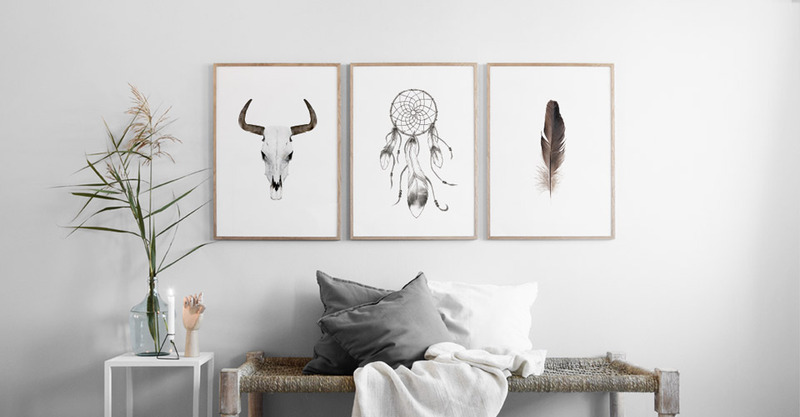 Our posters and prints with vintage designs suit almost all homes and interior styles! The designs are also ideal for older-style houses or as shop decor for when you want some period elements. Buy vintage posters online at Desenio! Retro is contemporary! Combine old and new – decorate your walls with stylish retro prints. We offer a wide selection of vintage posters, such as colourful illustrations reminiscent of retro advertisements, but also classic vintage prints of plants and spices. And don’t forget our gorgeous vintage photographs in both black-and-white and colour. By adding period elements from the past, combined with, for example, Scandinavian interior design, you can give your home a warm and personal touch and a retro-modern style. A stylish base with vintage elements is often a successful combo! Check out our Inspiration page to see how we combine our different art designs with each other and to find inspiration.